Professional artists or amateurs, experienced designers or beginners: more and more people find themselves experimenting the potential of digital art. The fascinating thing about 3D modeling is that it can let everyone express himself and give shape to the imaginary characters you want to create! Both if you wish to 3D print your creations or keep them digital, there is a wide variety of applications to pick among, from free sculpting software to apps that you should download. This article aims to give you a hand by choosing the top 7 of the best Sculpting software for 3D modeling that will meet your needs. What is a 3D sculpting software? 3D Sculpting software are designing suites that besides traditional 3D modeling features offer tools with which you can treat and object as if it was a real-life model made out of clay. The most basic actions you can do on the model is to push, pull, smooth, grab or pinch it so as to take its final form. The geometry applied in the various sculpting software to represent the model can vary: each one offers different benefits and limitations. Some of the programs use either mesh-based geometry or voxel-based geometry or even a combination of some basic geometry representations. The reason why 3D sculpting software are so popular among graphic designers, gamers and creators of CG (Computer Graphics), is because sculpting software gives you the opportunity to insert details to meshes that would otherwise have been difficult or impossible to create using traditional 3D modeling techniques. By using sculpting software you can also achieve photorealistic and hyperrealistic results which find application to the movies or animation industry. ZBrush is a 3D digital sculpting application developed by the American company Pixologic and combines 3D modeling, texturing and painting. It is considered to be one of the best and most popular software for creating 3D models. ZBrush does not use any CAD programs to create its models. Instead, it uses a “3D pixels” technology which is similar to sculpture. Each pixel, which is called “pixol”, contains information on depth, orientation, material and color value, making ZBrush one of the most user-friendly software for modeling and texturing. It is basically addressed to experienced users, since this software has many complex features and tools which offer increased freedom while designing. It provides great depth and customization capabilities for everything from sculpting and brushes to materials and rendering, that’s why it has become the industry standard for highly detailed digital art in the fields of movies, computer games and illustration.The video below may help you understand what the new features of ZBrush can offer to the designers. Considering that ZBrush is the most recommended and professional 3D sculpting software, we are very proud to have recently launched a partnership with ZBrush, allowing its users to directly export their 3D models and print them from our online 3D printing service in just one click! Mudbox is considered the main competitor of ZBrush and it is acquired by Autodesk. 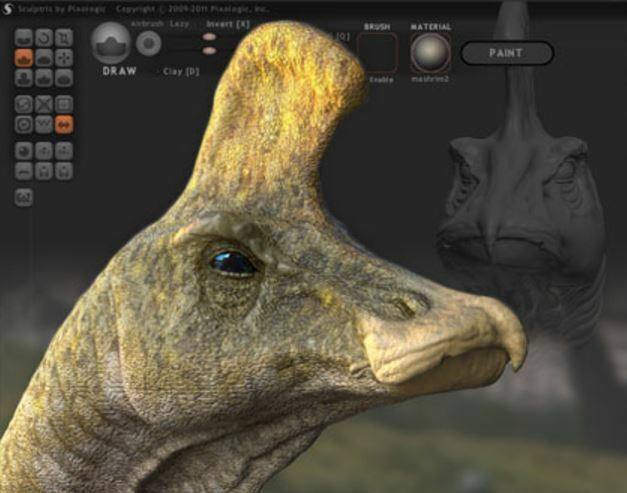 The application provides high-resolution digital sculpting, texture painting, and displacement. Models created with Mudbox start as a polygon mesh that can be manipulated with a variety of different tools. It uses a more traditional approach than ZBrush in terms of software, as the model can be subdivided and then the individual volumes of the part can be sculpted with the available number of polygons. In addition Mudbox, as more traditional software, uses layers to store different detail passes, to add masks on the layers and to blend them. This way, its users are allowed to sculpt and to mold their 3D model without making permanent changes. Another 3D modeling software developed by Autodesk, this time less challenging and more user-friendly. Meshmixer’s 3D sculpting tools are somewhat basic compared to higher-end tools like Mudbox and ZBrush, however because they are combined with dynamic remeshing infrastructure, it is possible to create extremely detailed surfaces with much lower polycounts. It is recommended for beginners in 3D modeling, students, designers, engineers and 3D hobbyists, as all the information and tips someone in the beginning of his designing career may seek are stored on a very detailed online manual provided by Meshmixer. In case you want to take your passion about 3D modeling one step further and you want to 3D Print your creation with our online 3D Printing service, check Sculpteo’s tutorial about how to Prepare your model for 3D Printing with Meshmixer. Blender is the free and open source 3D modeling software developed by Blender Foundation. It can provide 3D modeling, rigging, animation, simulation, rendering, compositing, motion tracking, video editing and game creation. Blender’s sculpting software is pretty advanced, yet ideal for beginners, as thanks to its latest versions and the continuous upgrades of its software, its users can enjoy sculpting and creation of parts without worrying about stretching the underlying mesh. Users may also consult the webpage for tutorials and manuals, which are very helpful. For those who use Blender software with the intention to 3D Print their designs, there is this Sculpteo tutorial, which aims to teach the best practices for modeling, correcting and exporting a 3D file for 3D printing with Blender 2.7. Sculptris is another 3D sculpting software developed by Pixologic, and if you are a beginner in digital modeling, it is a great ground to experiment on with the basic tools of ZBrush. Its tools are easy to learn and it is a pretty user friendly software to handle if you have no prior experience. 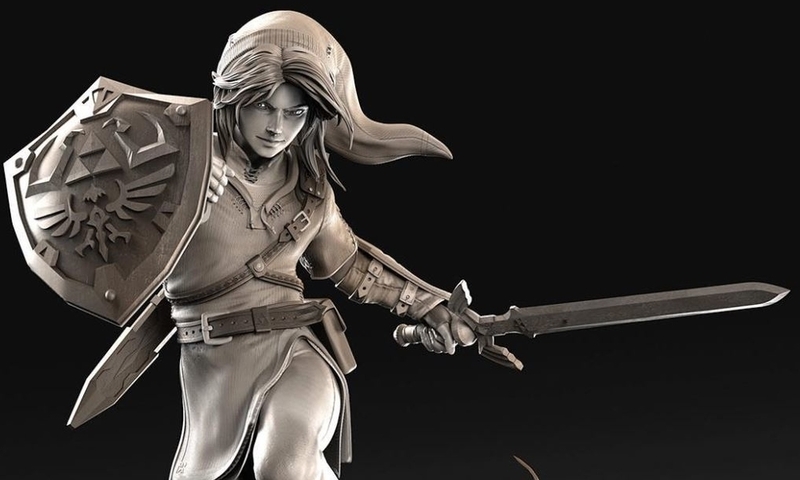 Another advantage of this 3D modeling software is that since Sculptris and ZBrush are connected, the skills that you learn using Sculptris can be furtherly upgraded by using ZBrush. In addition, Sculptris files can be easily imported and sent to ZBrush with a single button click! If you are already using Sculptris and you wish to see your models 3D printed, check this Sculpteo tutorial. 3D-Coat is a great 3D sculpting software from Pilgway designed to create free-form organic and hard surfaced 3D models from scratch. 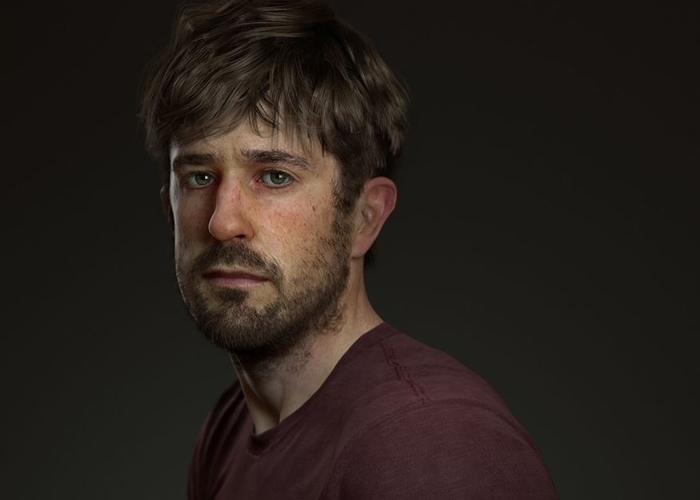 Its main features- which are also its main advantages over its competitors- are its use of 3D pixels (called “voxels”) to easily digitally sculpt the design, the ability to create fast and user friendly UV maps, the ease and variety in texturing and the retopology tools that it provides. SelfCad is a recently launched 3D modeling software, that offers a big variety of designing tools for sculpting, slicing and 3D drawing. It is a great CAD software as it is a package that includes all the tools that a designer needs to have. SelfCAD’s sculpting empowers creativity using gestures and helps your ideas get the desired shapes fast and easy. It is easily accessible and you can use it online without downloading it. All you have to do is to subscribe here and start your free trial period. If you are interested in learning more about 3D modeling software, this article about the Top of 20 simple CAD programs is for you! If on the other hand you are done with 3D modeling and you just wish to 3D print your creation, check which in which format your file needs to be and upload it to our online 3D Printing service!